Beef Braised in Barolo Wine makes an outstanding pot roast that is succulent, flavorful, and tender. 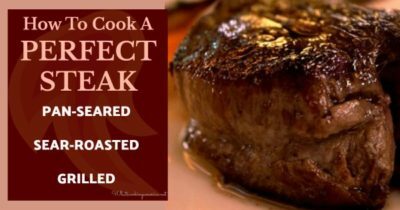 This beef recipe will become a go-to beef recipe to served your family and friends. The Italian version of pot roast is an inexpensive cut of beef braised in wine. Did you know that in Italy Barolo has been called the “king of wines,” and the “wine of kings.” It is one of the world’s best wines and is made from only the very best Nebbiolo grapes, grown near the town of Alba in Italy’s Piedmont. Barolo. This beef dish is excellent served with Risotto alla Milanese and Lemony Braised Lacinato Kale. This very tender and delicious Beef Braised in Barolo Wine recipe and photos were shared with my by Karen Calanchini, Food Stylist and Photographer, of Redding, CA. This recipe was adapted from America’s Test Kitchen magazine. Pat beef dry with paper towels (this is important as surface moisture will interfere with browning). Using cotton kitchen twine, tie roast as show in the photo below. Sprinkle with salt and pepper on all sides. Place pancetta into a Dutch oven and cook, stirring occasionally, until crisp. When crisp, remove with a slotted spoon to a paper towel lined plate; set aside. Add the prepared chuck roast to the pot and cook until well browned on both sides. Transfer to a large plate; set aside. Add the onions, carrots, celery, and tomato paste to the pot, sauteing and stirring occasionally, until the vegetables begin to soften and brown. Add the garlic, sugar, flour, and the crisp pancetta. Cook, stirring constantly until well combined and fragrant. Add wine, chile peppers, and tomatoes; stir with a wooden spoon to release the browned bits on the bottom of the pan. Add the thyme sprig, thyme leaves, and rosemary sprig. Return the browned chuck roast and any accumulated juices to the pot. Bring just to a boil and then remove from heat. Cover with a lid and place in the oven. Using oven-safe glove and tongs, turn the meat every 45 minutes, and cook until the meat is fork tender and almost falling apart, approximately 3 hours. After approximately 3 hours, check the internal temperature of the beef with your meat thermometer. When the internal temperature registers 180 degrees F. on your thermometer, remove from the oven. When the meat is done cooking, remove from the oven, and transfer the meat to a cutting board. Cover with aluminum foil to keep warm and let the meat rest approximately 15 minutes for juices to settle and cool a little. Using a wide shallow spoon, skim the fat off the surface of the cooking braising sauce. Stir in the fresh parsley leaves. After resting, slice the roast and serve with the braising liquid and vegetables. Do not waste the extra braising sauce - You will have lots of braising sauce left from this dish. Place the sauce into the refrigerator ernight and then remove the rest of the congealed fat the next day. This delicious sauce can be used as a soup base, pasta base, or used to cook chicken pieces in and then served over pasta. Karen likes to use the leftover braising sauce in her Tuscan Frittata with Two Cheeses. * Cabernet Sauvignon wine may be substituted. ** Learn how to prepare and use Hatch Chile Peppers. Hatch Chiles are available fresh for a short time in well-stocked local markets from late August to early September. Check with your local store to find out their availability. I get many readers asking what cooking/meat thermometer that I prefer and use in my cooking and baking. I, personally, use the Thermapen Thermometer. Originally designed for professional use, the Super-Fast Thermapen Thermometer is used by chefs all over the world. I only endorse a few products, on my web site ,that I like and use regularly. You can learn more or buy yours at: Super-Fast Thermapen Thermometer. I tried the ButcherBox subscription and loved it! In my box I received several nice cuts of organic meat that my family enjoyed over the following weeks. 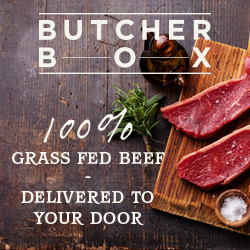 Make shopping a little easier and subscribe to ButcherBox to have quality organic meat delivered directly to your door. Can this recipe be made in a crock pot after braising part? Definition of Braise: Braising is a classic cooking technique of two cooking method that uses both moist and dry heats. Sear the meat lightly at a high temperature and then stew it slowly in a closed container at low heat. The combination of a low oven temperature and moist heat turns the muscles in the meat tender, also known as “fall-off-the-bone tender.” This technique allow you to transform cheap and tough cuts of meat into tender and delicious meals.